Turning a hobby into a business is a dream for many people. After all, what could be more enjoyable than working on something that you are passionate about and earning from it? For many, that will be the ideal life. Aileen Siroy decided to pursue her love for photography into a thriving business. Her decision has paid off: clients responded to her talent and innate skill in making people feel comfortable in front of her camera that she is fully booked until next year. Marion Gold decided to start jewelry design as a means of coping with the death of her parents. What initially started as just an homage to her mother who used to do jewelry design as a hobby blossomed into a full-time business after her jewelry proved to be sellable. However, turning a hobby into a business is not without challenges. Some hobbies are just not viable as a business. How can you monetize a bouncy ball-collecting hobby? Other hobbies are so popular with many enthusiasts selling their wares. To compete in that market, your products need to be exceptional and your business strategy exemplary to stand out from the rest. Know what you want. A huge factor in your decision to turn your decision to turn your hobby into a business is how you imagine your ideal life to be. Turning something you love into a profitable business all starts with your idea of the best kind of life you want to live. Working on something you are passionate about 24/7 sure beats coming to work on a job that you have to do but do not really love to do. When you turn your hobby into an income generating activity, you get the satisfaction and joy of doing something that you thoroughly enjoy making your life much more rich and meaningful. But is this really what you want to do? Doing something an hour a day to help you relax is one thing; doing the same thing 8 hours a day can start feeling like a job. 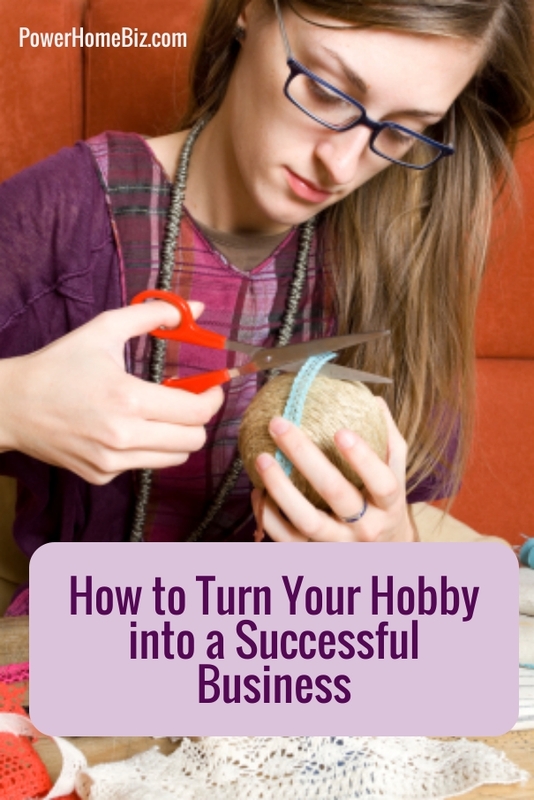 Do you think you will survive working on your hobby most of the time everyday? Determine the viability of your hobby as a business. Just because you love to do something doesn’t mean that it could be turned into a profitable business. Is there a market out there? Are the margins healthy enough to sustain your business? Do you think it is able to provide enough revenues to address your needs? Research if there’s a market for your hobby. Check how many websites are offering the product to assess the competition. If there’s none, it’s either you’re the first one who thought of selling the products from your hobby; or there’s really no market for the product and no one is interested to buy it. Do an initial test run on auction sites such as eBay or Etsy.com to get a feel of the market interest about your products. These auction sites will also show you how to attract the attention of your potential customers, the right keywords to include in your listing, and how you can elicit the best response from them. There’s also a lot to learn from the questions asked by potential customers and browsers, as well as learn the feedbacks of buyers – all of which you can use to fine-tune your product and marketing strategies. There is also the issue of how well can you do your hobbies. You may be able to knit, but are your scarves stylish and good enough for the market that they will actually pay for it? To succeed as a business, you don’t only need to love what you do but to be able to produce exceptional creations that buyers will come back again and again. Understand the logistics required in turning your hobby into a business. If your hobby entails producing something – e.g. quilted bed covers, jewelries, gourmet nuts – it is important to consider how fast and how consistent you can produce your products. It’s one thing to work on something as a hobby where you can produce the item based on when you want to work on it. You can finish it as fast as a day, or as long as a month if you like. If this is a business, then you have to consider the demand of customers. Realistically look at how fast you can produce the items without sacrificing quality. Think of how you can meet the demands of customers efficiently and prepare your production plan. Will you need to find a manufacturer for your products? Will you need to hire helpers or assistants to help you fulfill the order? How much inventory should you keep in stock? Time management factors. When you have a hobby, the challenge has always been finding the time to actually do it. With work, housekeeping, cooking, quality time with family, going out with friends and socializing and other daily routines, how are you going to find the time to do your hobby? So much more given that you are turning it into a business. Most hobbyists who decide to turn their passions into business start out part time. Doing this business on the side while keeping a full time job is not going to be easy. You need to be able to manage your time well, planning out production, marketing, sales, and even delivery and fulfillment. It will be a tricky balancing act, and you need to prepare for long hours of working and selling. Decide on how and where to sell your products. As a hobby, all you care about is doing and completing your products to your satisfaction. But not when you’ve decided to turn it into a business. When you turned your hobby into an income-generating endeavor, you need to think and find a way to sell it. Creating your product is just the beginning; now you need to sell it. There are a number of factors to consider, including abundance of your target market and costs and fees. Think of how to position your business for growth. Yes, you are just starting up – but it is important to envision the natural progression of your business and plan accordingly. The main problem with hobbies is that there is a natural limit to their growth. You need to find the barrier and plan on how to break it. A hobbyist engaged in vintage postcard collecting may be limited to selling on online auction sites and postcard shows. But with a little knowledge in graphic design, the business can be expanded to greeting cards, t-shirts or selling images based on the vintage postcards. The key is to find ways to explore growth, with a little creativity.